Richard is pleased to announce the release of his latest book, The New Romantics: Ten Stories of Mystery, Passion, Travel and Vampires. "N.J. Professor Gives a Course in Adventure"
"Catching Up With Alumnus Richard Marranca"
• This is a powerful, integrated system that helps you find the best path to accomplish your goals. • Life Coaching sharpens your goals/visions in order to create an action plan; the purpose is to find success, happiness and the good life. It helps you empower your deepest insights and wisdom. It’s a very Socratic approach joined with positive psychology, self effort and the wisdom of the East. It fosters positive change in your life. My specialties are health & wellness, education, business creation, relationships, travel and spiritual renewal; but I can assist in other areas. • This service focuses on planning and admissions to the school/s of your choice: choosing the best path, finding schools, admissions, preparation for interviews, choosing classes and majors and any follow-up. I can help with undergraduate and graduate education and all sorts of private schools and certification programs. The basic idea here is to ensure a successful path from start to finish. If you make good decisions in the beginning, the outcome is generally better. • Classical Yoga, Meditation, Health and Wellness (stress reduction, nutrition, diet/veg diet), writing and editing, and creativity. The New Romantics: Ten Stories of Mystery, Passion, Travel and Vampires. E-book available from Amazon. Dragon Café: An East-West Collection (essays). E-book available from Amazon. New York Interviews: First Thoughts (interviews). Also available from Amazon. Alexander the Great in India: Sunburst Upanishad (novel about Alexander in India, inspired from Indian Classics, Arrian and Plutarch). Available from Amazon. Dragon Sutra, a novel about a teacher exploring Southeast Asia who gets involved with Cambodia’s dangerous past and Burma’s dangerous present, includes his friendship with a Cambodian woman and monks. Avaiblable at Amazon and Barnes and Noble. 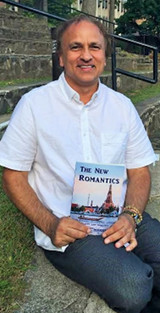 I also regularly publish essays, fiction, poetry and interviews in journals such as Thammasat Review, Light of Consciousness, Shambhala Sun, Yoga International, The Literary Review, The Paterson Literary Review, Sufi, etc. And I have interviews in these books: The Way Things Are, The World’s Religions 50th Anniversary Edition by Huston Smith, The Muse Upon My Shoulder and Conversations with E. L. Doctorow. Richard Marranca, Doctor of Arts, has Life Coach Certification from Fowler Wainwright International, Yoga & Meditation Certification from Center for Transpersonal Studies, and a Doctor of Arts Degree from the Steinhardt School of Education of New York University (creativity & general humanities). In addition, he has studied at Integral Yoga NYC, Sivananda Yoga Farm in Grass Valley, California, Sivananda in Munich, KTD Monastery in Woodstock, Omega Institute in NYC, the Open Center in NYC, C.G. Jung Foundation in NYC, Wat Mahathat in Bangkok, and elsewhere. Richard on Thai PBS, June 2017. Trip to Cambodia, July 2011. He is Past President of the New Jersey Fulbright Association and presently a Trustee of New Jersey College English Association. He has taught the humanities at NYU, Rutgers University, the New School, Montclair State, TMCC/University of Nevada Reno, Seton Hall University and elsewhere. He has been awarded a Fulbright to teach at the University of Munich (2002-2003), as well as five National Endowments for the Humanities summer seminars – the last two being Transcendentalism in Concord and WWII history at the East-West Center in Honolulu. He enjoys running and hiking, tennis, travel, movies and museums & the study of world religions. Since his teenage years, he has followed an environmental and compassionate path. On his to do list include working on an archaeology dig, volunteering at Gombe Chimp Reserve in Tanzania, teaching at a university in Asia and running a marathon. He is available for Life Coaching; Educational Consulting; and Seminars on Yoga, Meditation / Mindfulness, Creativity, Health and Wellness (including stress reduction, nutrition, vegetarian diet), and Writing and Editing. Richard can be reached through his online contact form or by phone at (908) 290-4311. He lives in New Jersey (20 miles from New York City), but is pleased to travel if time permits. 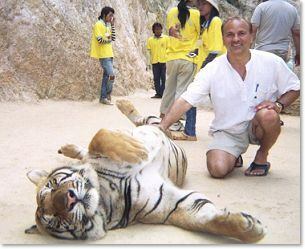 He has traveled extensively in Europe, Latin America, North America, the Middle East and Asia. If you're looking for pathways to a more fulfilling life, then I invite you to stay in touch with me. View pictures from Richard's travels here.